For the last three years, the WaterDiss2.0 Project partners have been working with a considerable number of recipients of EU Framework Programme funding, to identify strategies for more effective and speedier transfer of research results to intended users in the water sector. 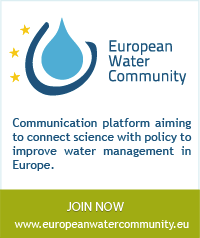 Webinar "Opportunities for European Groundwater Management"
The webinar provided insights into the promising research outcomes of two European research projects – FP6 Riskbase and FP6 Wade. They dealt with new approaches to groundwater management and innovative responses to the challenges of climate change and related extreme weather events. During a fishbowl discussion, the participants discussed with the panellists Jos Brils (FP6 RiskBase, Deltares) and Christoph Külls (FP6 Wade, Albert-Ludwigs-University Freiburg) about the upcoming challenges and possible solutions in groundwater management. The WATERDISS 2.0 Summer School on INCREASING SUSTAINABILITY IN RIVER BASIN PLANNING AND MANAGEMENT: CONCEPTS AND TOOLS FOR RIVER RESTORATION is organized with the aim to provide an opportunity of an intensive working together of talented young researchers, PhD students or freelancers from all over Europe with some of the leading academics, researchers and practitioners in the field. Innovative water technologies to respond to the multiple challenges water management faces already exist, however better uptake of information and innovation is necessary.